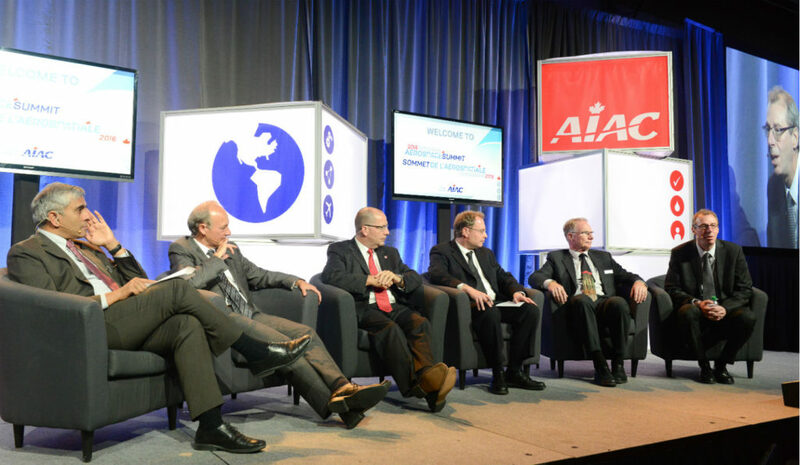 A global perspective on innovation and technology will be the focus of this year’s Canadian Aerospace Summit, an annual gathering of industry leaders organized by the Aerospace Industries Association of Canada (AIAC). “The focus is around innovation because of the work that the government has done in terms of the innovation and skills agenda and other policies similar to the defence policy,” explained Jim Quick, president and chief executive officer of the AIAC. AIAC expects to welcome more than 1,000 attendees, including government officials, representatives of original equipment manufacturers like Airbus, Bell Helicopter and Lockheed Martin, as well as other industry leaders and international companies. Last year, Canada’s aerospace industry contributed nearly $28 billion to Canada’s gross domestic product (GDP) and 208,000 jobs to the Canadian economy. “What we have been trying to do is bring in the leaders of large international companies to talk about where they see the future of our industry, to talk specifically about their relationships with the Canadian industry and then what we should be doing as a global leading aerospace nation to be more successful in the future,” explained Quick. AIAC expects to welcome more than 1,000 attendees, including government officials, representatives of original equipment manufacturers like Airbus, Bell Helicopter, Pratt & Whitney Canada and Lockheed Martin, as well as other industry leaders and international companies. He told Skies that AIAC has three main goals for the Summit. The first is to bring global thought leaders to Canada to discuss what this country needs to be doing in order to be successful over the next 10 to 15 years. The second goal is for the Summit to be the premier place to meet Canadian industry members. The third goal is to use the event to build on existing relationships with Canada’s federal government. AIAC has already confirmed an impressive line-up of speakers for this year’s Summit, including Dirk Hoke, the CEO of Airbus Defence and Space; Marc Parent, president and CEO of CAE; Charles “Charlie” Bouchard, CEO of Lockheed Martin Canada; David Curtis, president and CEO of Viking Air; Don Osborne, president of MDA Information Systems; and Cynthia Garneau, president of Bell Helicopter. The executive panel of CEOs will discuss the trends, challenges and opportunities Canadian aerospace executives face as they try to move forward while managing uncertain times. “It’s very much looking at the question of how we are successful in the future and who to be successful with,” said Quick. 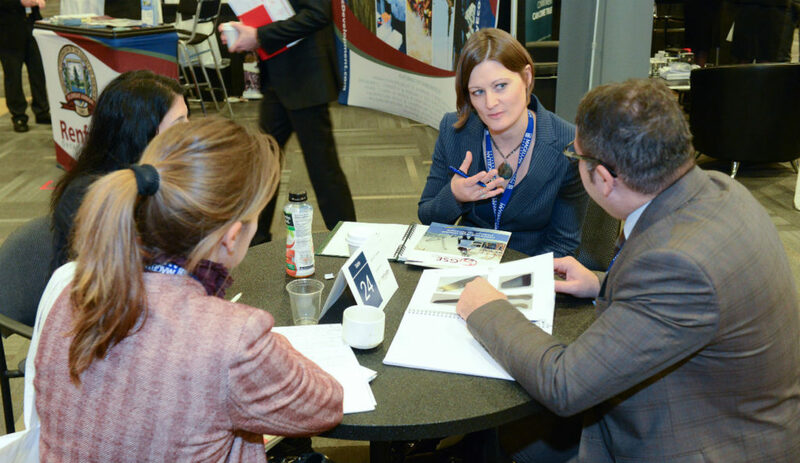 Networking will be a key component of the 2017 Canadian Aerospace Summit, taking place from Nov. 7 to 8 at the Shaw Centre in Ottawa. AIAC has also reached out to Judy Foote, Canada’s public services and procurement minister, and Navdeep Bains, minister of Innovation, Science and Economic Development, to attend the Summit and discuss defence procurement, as well as the federal government’s innovation agenda. “It’s going to be a pretty complete program,” concluded Quick. 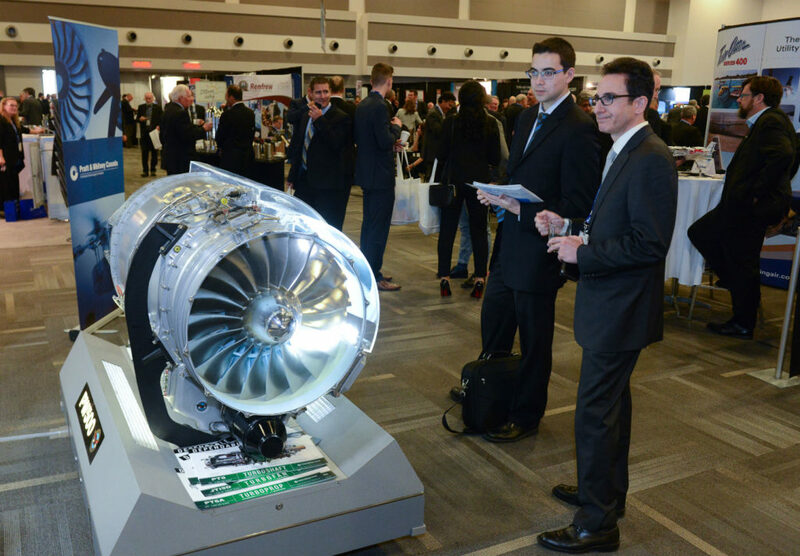 The 2017 Canadian Aerospace Summit will take place from Nov. 7 to 8 at the Shaw Centre in Ottawa.